The Quests in March To Rome touch a story of a ruler's journey along with providing rewards to help you along your path. 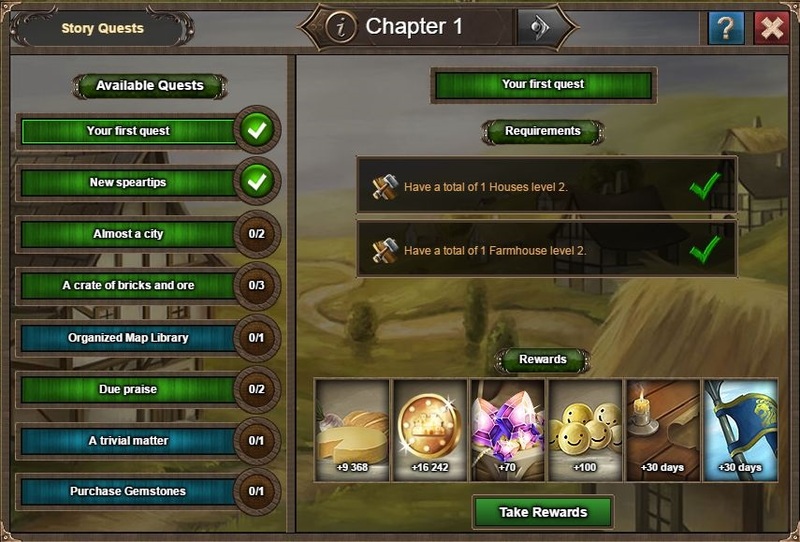 The main quests have to be completed to progress in the next chapter. The largest source of free gemsones in the game are quests and she will notify you if there are any developments. 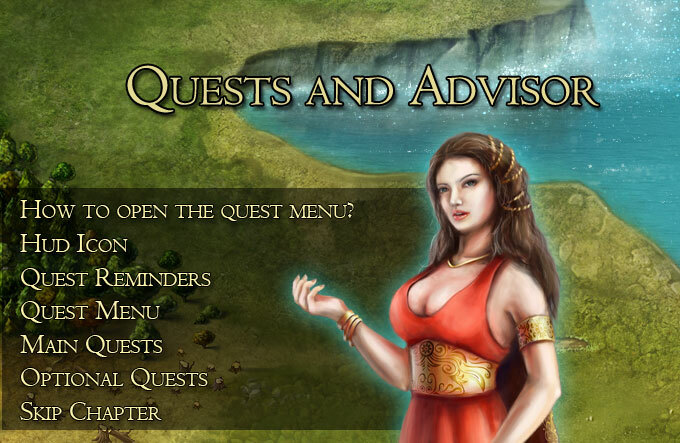 You can find your quests via clicking the advisor portrait or on what she suggests you do next. The advisor icon and her suggestions can be found in the top right corner of the screen. Main quests (green ones) are primary meaning they have to completed and the blue ones are optional.